Dr. Lisa Anderson graduated from Wake Forest University in 1985 with a bachelor of arts degree in biology. She served in the U.S. Army for four years as a regular Army officer and then left the service to pursue a dental career. She began her dental journey by attending the University of Maryland School of Dentistry, graduating in May of 1995 with a degree in Doctor of Dental Surgery, she then rejoined the Army as a dentist. After graduation, she completed a one-year program in Advanced General Dentistry in Colorado Springs, CO in 1996. In 1998, after serving as the first female airborne dentist in the history of the 82nd Airborne Division, dr. Anderson began her Endodontic residency at the University of Maryland Dental School. She completed her two-year endodontic residency in June of 2000, she also earned a Masters of Science degree in oral biology in 2001. 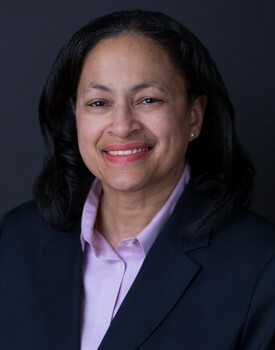 She served as the Chief of Endodontics at Walter Reed Army Medical Center while teaching part-time at the University of Maryland through 2001. After eight years of service, Dr. Anderson resigned her commission and has been in private practice since 2003. She enjoys hiking, visiting National Parks, photography, and traveling with her husband of 25 years.